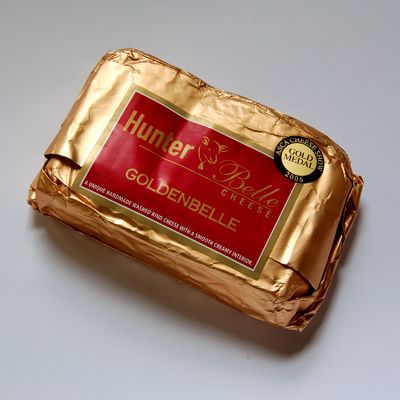 Hunter Belle, as the name suggest, comes from the Hunter Valley in New South Wales. They source their milk solely from Swiss Brown Cows and believe in allowing seasonal variations to come through in their cheese. 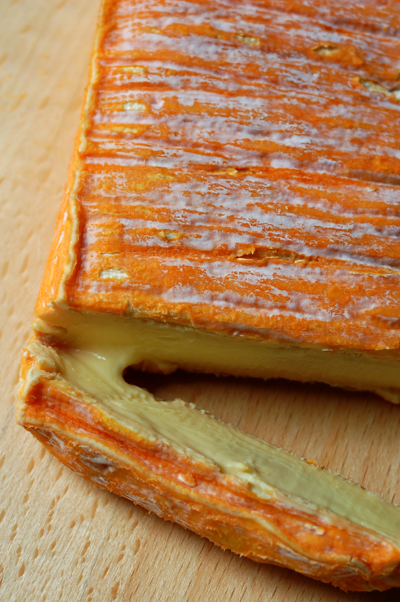 It's saffron coloured skin probably tells you that this is a washed rind cheese and if you happen to be in it's presence, it's pungent aroma leaves you without any doubt. 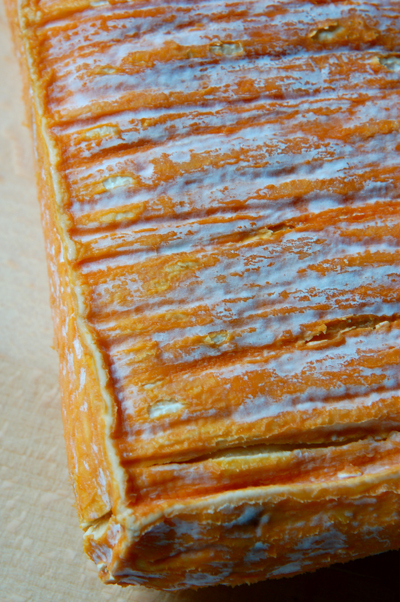 I found the skin to be somewhat tacky to the touch and compared to previous washed rind cheeses, this one is not for the faint-hearted. This hasn't been out of the fridge for too long but you can see that it's started to soften - the cheese has a creamy mouth-feel but it's quite strongly flavoured, along the line of a blue cheese. Even after three hours there's still quite a strong ammonia scent. I'd recommend this for those that like their cheese with attitude. 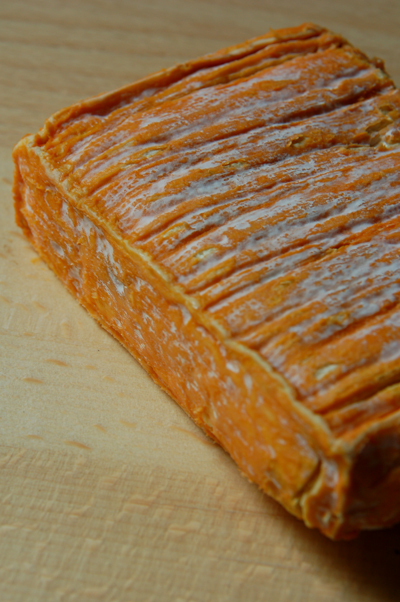 *For Melbournites - I found this cheese at Leo's in Kew, they also stock a few others from their range.